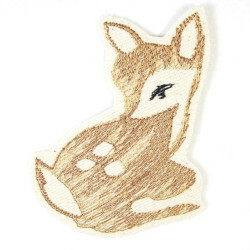 Iron-On Skeleton Flames Dachshund Patch, Fire Dog Iron-On Patch, Flickli - cool iron-on patches and applications to sustainably repair and beautify! 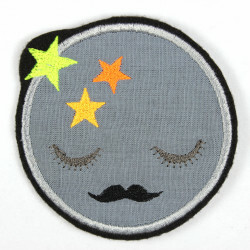 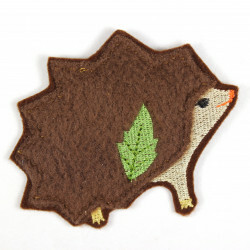 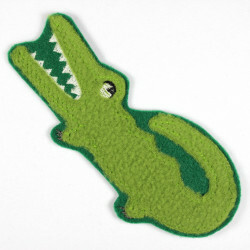 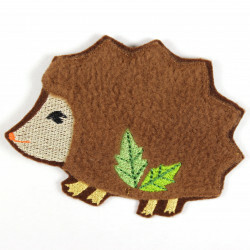 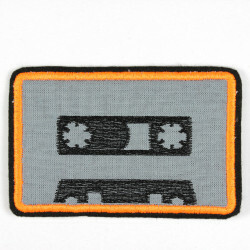 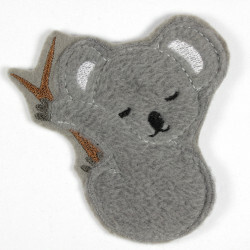 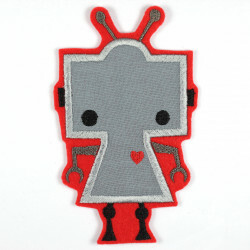 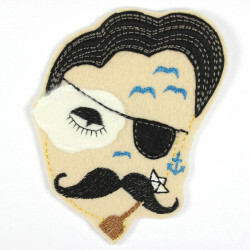 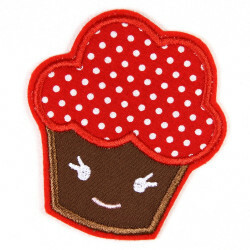 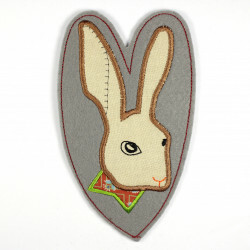 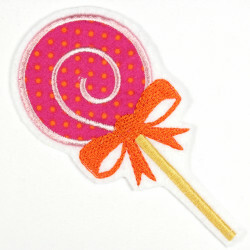 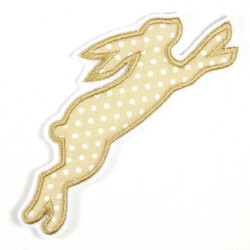 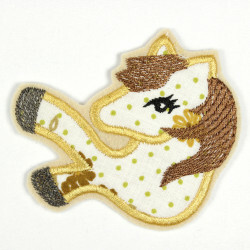 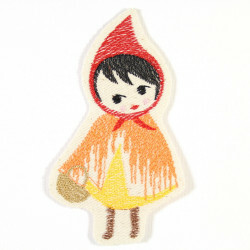 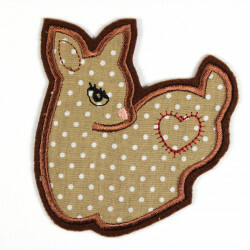 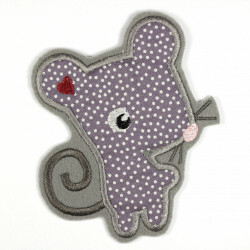 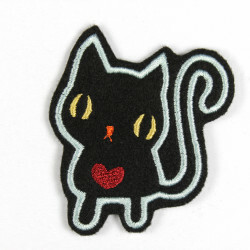 size inch: H/W 3.54 x 5.19"
Wertstück Flickli - sustainable and fair made patches from Germany. 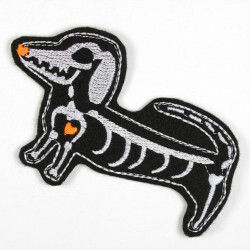 Iron-on skeleton fire dachshund dog in black white and neon orange as a cool patch to iron on. 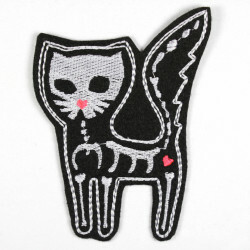 With this patch with bones, whether for Halloween or as a patches accessory to Gotic ande Metall clothing is simply a great piece of black clothing a great piece. 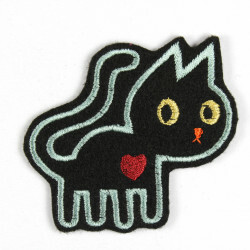 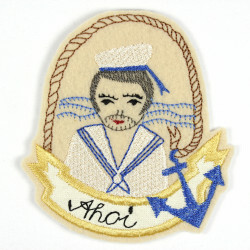 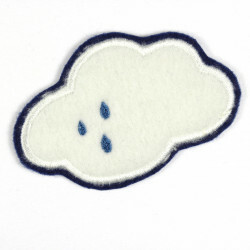 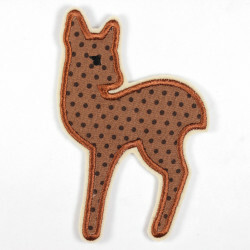 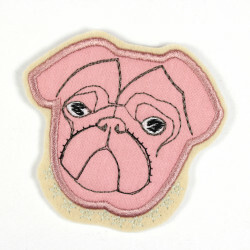 The iron-on patch "Hot Dog" with embroidered dog skeleton as patch is iron-on and can be easily attached to the favorite denim jacket or all other textiles. 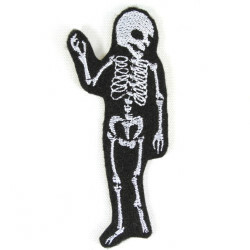 The scull bones skeleton fire flame application with skull of Wertstück Flickli can be used ideally for the repair of holes, spots or damaged areas. 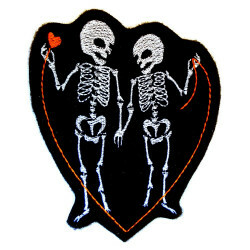 Super this Skeleton Ironing Patch is of course also suitable as an application for beautify and individualize as iron-on. 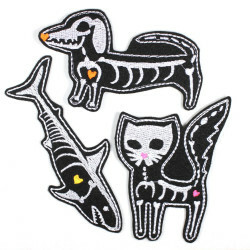 Repair and decorate with Wertstück Flickli Iron-on Patches makes fun with this particularly beautiful black and white patch skull dachshund dog skeleton and for all night-time active, the cool Scull patch Patch shines even in black light! 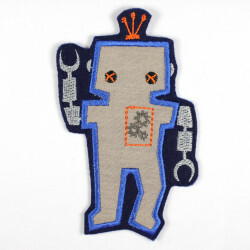 Each repaired garment, which can be worn with a Wertstück Flickli iron-on patch, rejuvenates the environment and protects resources. 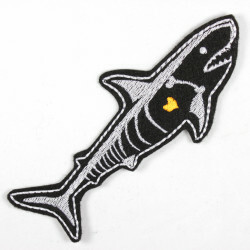 And if you just keep a boring textiel in front of the wardrobe death with the skeleton Hot Dog Patch and after the ironing on of the skeletal patches has joy to wear it is also absolutely sustainable. 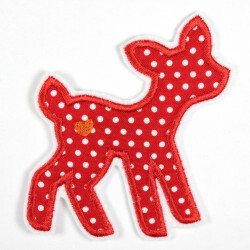 The scull dog application is washable at 40 ° C in the washing machine on the left. 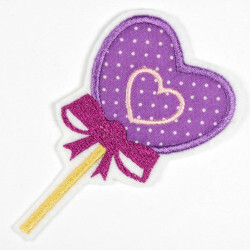 Please do not put the ironing board in a tumble dryer.